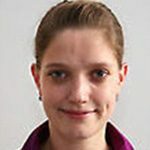 Dr Christina KrauseKonrad – Adenauer – Stiftung e.V. Christina Krause is currently the coordinator for Migration and Refugee Issues at the Konrad Adenauer Foundation (KAS) in Berlin. Before joining KAS, Dr. Krause worked for UNHCR in Berlin (2000 – 2005) mainly dealing with protection and resettlement of refugees from former Yugoslavia. 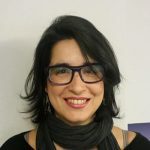 Here she also followed the talks and developments of the first comprehensive legislation on migration in Germany (Zuwanderungsgesetz) – which became the subject of her Ph.D. thesis. For KAS Dr. Krause has served as representative in the Sarajevo-Office, worked on the desk for the Andean Countries and most lately the Western European Countries. She holds a Ph.D. in Political Science from the University of Kiel. Her Master’s thesis dealt with migration flows from Albania to Italy via the Strait of Otranto in the late 1990ies.